Buenos Aires, 49-51, 8902 Barcelona, Spain. 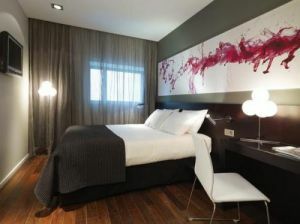 The Eurostars Lex is a modern establishment located next to the Judicial City of L'Hospitalet, and next to the new Fira 2 exhibition centre of Barcelona, to the Gran Via 2 Shopping Centre and perfectly connected to the airport and the centre of Barcelona. 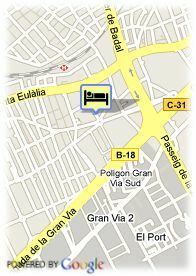 The hotel is placed inside a fully restored building, having 46 large and comfortable rooms with a cared inner design. It also has bar/cafeteria, meeting rooms and a small gym.